Over the past few years we’ve witnessed the emergence of a new generation of alternative network (altnet) provider(s), most of which tend to specialise in bringing Gigabit broadband to areas that have previously been left neglected. Many of these have developed their own unique models and in 2013 they were joined by Community Fibre (CF), which is fast becoming a serious player in the growing “full fibre” market. The operator has already raised around £40m (example) and predominantly tends to focus its energy on doing deals with local authorities in urban areas to serve large social housing estates. At the time of writing most of these have taken place in London, although Jeremy aims to replicate their model in “other major UK cities” and may also target new build homes by harnessing Openreach’s (BT) existing cable ducts. Such areas tend to be easier and cheaper to serve with FTTH because large populations of people are concentrated over quite a small area. As a result CF expect to extend their 1Gbps capable FTTH network to cover 60,000 homes in London by the end of 2018 (currently they’re at about 25-30k) and they’ve been contracted to build 150,000, although their goal is to reach 500,000 by 2022 (requires more funding than they’ve raised so far). As usual we wanted to know more about how the ISP has achieved all this, as well as their plans for the future and opinions on the current market. Luckily Jeremy has been kind enough to help with the answers. NOTE: The provider has today also cut the monthly price of their broadband packages, which are now £47 for 920Mbps (average), £25 for 200Mbps and £17 for 40Mbps. This will run until 30th September 2018. 1. 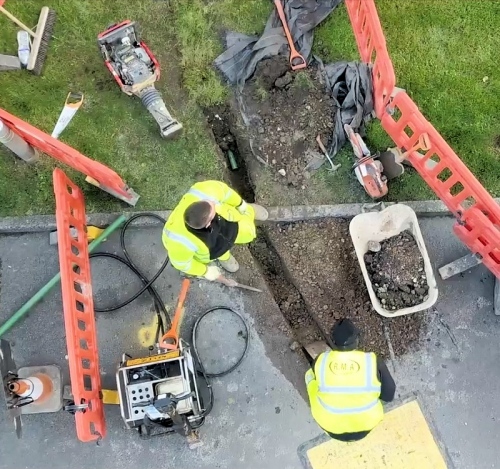 Last year Community Fibre successfully raised millions of private equity investment to help with its rollout of FTTH/P around London, which is expected to reach around 60,000 premises by the end of 2018 and 100,000 by the end of 2019. On top of that you’ve recently secured another £25m. So far you’ve indicated an aspiration to cover 500,000 premises in the future. Over what sort of timescale do you envisage achieving that and how much extra investment would such a deployment require? The company is currently rolling out its FTTH solution to 200,000 homes and businesses across London, with the plan to pass 500,000 by 2022. We have 2 great financial backers, Amber Infrastructure (who manage part of the National Digital Infrastructure Fund) and the Railway Pension Fund (the UK’s 11st largest Pension Fund). We’ve raised £40m to date, with the latest £25m this year. This investment is helping us to deploy in line with our plans, however we will be looking for additional funding to hit our 2022 targets. 2. At the moment Community Fibre seems to be focused on bringing FTTP/H to social housing in London. What made you focus on social housing and do you have any plans to expand into areas outside of London or even catering for individual houses? Firstly, having grown up in social housing, I have seen first-hand the opportunities provided by access to faster, better, and cheaper Internet. These include greater access to a wealth of educational resources, more personalised entertainment, and increased connectivity with family and friends – helping to improve the lives of those that use our services. Our first landlord partnership was with Westminster City Council to provide full-fibre to social housing tenants who often get left behind. Secondly, the concentrated population of social housing means that we are able to build a network that is not only effective, but cost efficient from day one. We have also begun plans to roll out to individual retrofit and new build houses using Openreach DPA/PIA. We are also looking to build on the success we have achieved in London by replicating our deployment model in other major UK cities. 3. Community Fibre also offers a range of business focused packages, which are several times more expensive than the equivalent residential packages of the same speed (e.g. the 1 Gbps home service is £50 vs £200 for businesses). Can you tell us what enhancements or extra features businesses receive that comparable home connections do not? The main difference between business and residential packages is the nature of the infrastructure. The residential packages are based on a GPON technology, whereas the business packages operate on XGS-PON or Point-to-Point technology which is considerably more expensive but provides a higher capacity (up to 10-Gbps symmetric). We also provide businesses with a static IP address and enhanced customer services and service-level agreement. We understand the productivity benefits businesses can get from faster broadband, along with the financial challenges SMEs can face. We not only promote the Connect Westminster and government Gigabit Voucher scheme, but also offer start-ups and smaller businesses the ability to take our residential broadband products, helping to remove the upfront and ongoing costs to better broadband. 4. 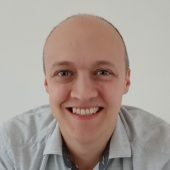 What are some of the biggest challenges that Community Fibre has faced while both establishing itself in the market and deploying the new network? The first significant challenge was to raise money. However, over the last 2.5 years we have raised £40 million, with our most recent fundraising round securing £25 million from Amber Infrastructure and RPMI in April 2018. The second significant challenge is obtaining wayleaves from landlords, as many Internet Service Providers have misrepresented the characteristics of their copper-dependent products (FTTC and FTTB). This has often pushed landlords into working with them, rather than building a strong partnership with a focus on enhancing the value of their properties and their residents. Overall, the current environment is certainly attractive for investors but some upcoming policy proposals may lead to uncertainty and limit competition, by creating an environment where copper technologies (FTTC and FTTB) can flourish and slow down the rollout of full-fibre (FTTH). In theory, according to the marketing, 13+ million of us are passed by ‘gigaready’ networks right now but the majority can purchase at most ~400Mb with 20Mb up. Loathe when companies talk about what networks are capable of. If you live next to a cabinet twisted pair is gigabit capable. Gigabit internet is available in most homes of Romania, a 3rd world country, since ~2011, for the price of 9eur per month, like 2 bigmac menus. Built by private companies, from their own money, with no government support. And they offer 1Gbps to home cause it doesn’t make much sense to offer more to a family now, but the fibre (which goes to your apartment, btw) technically supports way more. And UK makes plans for 2025 while a county with income 1/8 of UK has this for 7 years already everywhere? Romania has about 60% coverage of FTTP to the UK’s weak 3-4%. However they are weak in terms of overall coverage for slower “superfast” (30Mbps+) class connections, which only reach about 74%+ of the country vs 94%+ in the UK (add 1% or so if using the 24Mbps+ definition). Romania is hardly third world now – EU member. Pricing can’t be readily compared with the UK – purchasing power parity very different so prices of things very different, much as Switzerland is more expensive than the UK in most regards. You guys have a lot more people living in apartments than we do in the UK. Less than 25% of the UK population live in apartments and even fewer in apartment buildings of any size. You also had the benefit of not having much of an ADSL/VDSL infrastructure in place so going directly to FTTB/P made sense. In the UK both regulation and the competitive environment made this more difficult. Lastly you guys have horrendous contention/congestion on your FTTB. A gigabit to the apartment isn’t much use if all the apartments in a large building are sharing a gigabit out of it, and your cable via UPC is pretty nasty for congestion too. TL;DR the two aren’t comparable. Plus Romania although a relatively big population is still 3 times smaller than the UK population. These factors should also be taken into consideration. The bigger the population the more work is needed to serve the population with Fibre. We can see an example in Bulgaria where 75% have FTTP. But land is smaller and population is only 7-8 million. There’s less urbanisation so it is somewhat easier to do the digging. Fewer red tapes and planning permissions required. But that is also not good because in Bulgaria some private sectors tend to do whatever they want. There should be a golden median between not too restrictive and not too loose wayleave. But still we don’t live there because other aspects of life and living standards in Bulgaria and Romania is more expensive even if Fibre is only 9 euros a month. Monthly salary is the equivalent of UK weekly salary. So you might have Fibre there, but you won’t have a well paid job unless you are a successful businessperson. If my calculations are correct, paying £50 in the UK for 1Gbps vs 9 Euro a month in Bulgaria/Romania still gives you a cheaper life in the UK overall due to better wages. This may be a paradox.. But it is no wonder Bulgarians and Romanians come to live in the UK, they are happy to sacrifice Fibre Broadband as that is still viewed as a luxury when they consider job and salary as a more important factor in their life.